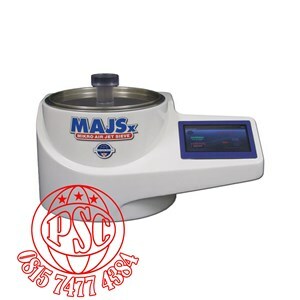 The Mikro Air Jet Sieve® MAJSx is a highly accurate and reliable particle size analyzer which identifies the particle size distribution of dry powder ranging from 20 µm / # 635 ( mesh ) to 4,750 µm / # 4 ( mesh ). The versatile and economical analyzer is used by hundreds of laboratories throughout the world in wide-ranging markets including chemicals, minerals, pharmaceuticals, food, plastics, and cosmetics. 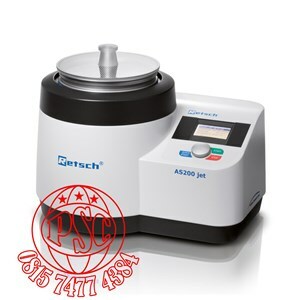 It is more economical than a laser diffraction analyzer and more accurate than oscillating or shacking sieving devices. Additionally, the Mikro Air Jet Sieve® is easy to operate and maintain. Aerodynamic sieving, dispersion of the sample while continuously cleaning test sieve. Output graphs in linear or Rosin-Rammler Law formats. Capable of calculating particle size points at 0.01 to 99.99 % using the Rosin-Rammler Law. Available in Advanced and Basic Manual Computer Software Guided modes. The new Air Jet Sieve AS 200 jet is particularly suitable for sieve cuts of powdered materials which require efficient dispersion and desagglomeration. The option to store up to 10 SOPs and the automatic vacuum regulator ( accessory ) guarantees reproducible and meaningful results. Innovative features such as the Open Mesh function, the selection of the nozzle speed as well as optional use of standard 2" high test sieves perfects the new air jet technology.